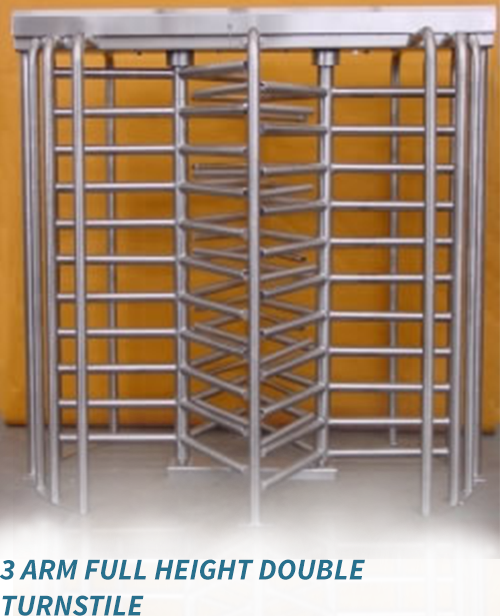 Our full height industrial turnstiles are designed for maximum impenetrability to automatically guide personnel in and out of secure areas. 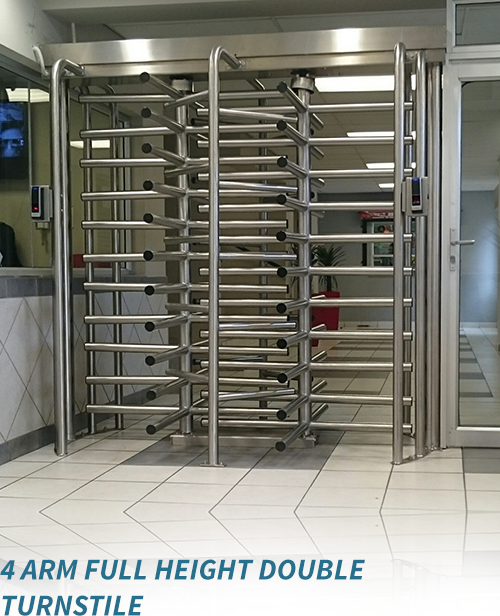 We confidently offer an unmatched 10-year warranty for industrial turnstiles due to the robust, function design, quality workmanship and superior materials. 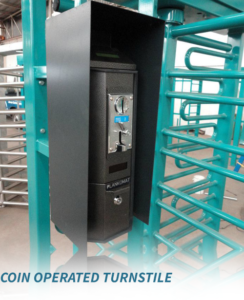 Industrial turnstiles manufactured, installed and serviced by Flow Systems manufacturers provide the desired security and reliability to property owners. 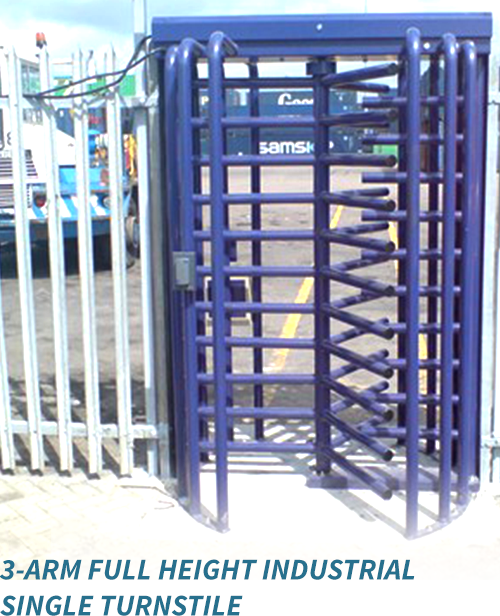 Our Industrial turnstiles are specified for mines, industry, commercial properties, warehouses, universities, stadiums and the betting sector. 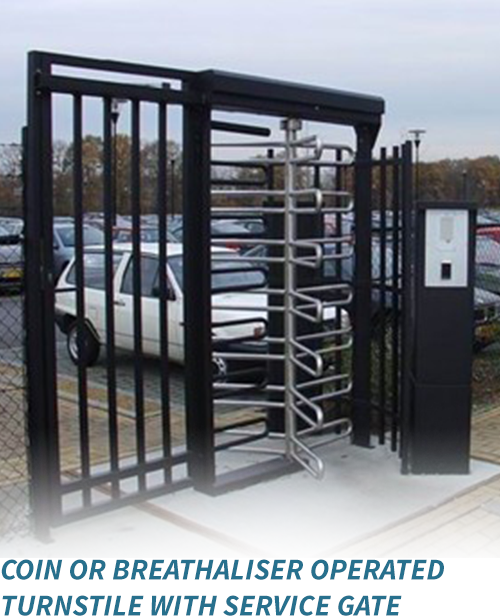 Boom gates, spiked boom gates and quarter locks are often used in conjunction offering the same peace of mind. Type ELO: Exit and/or entry rotation is allowed by signal from two Access Control Card Readers, Access Control Biometric Readers, Fingerprint Readers, Facial Readers, Remote Control, Push-button, etc. 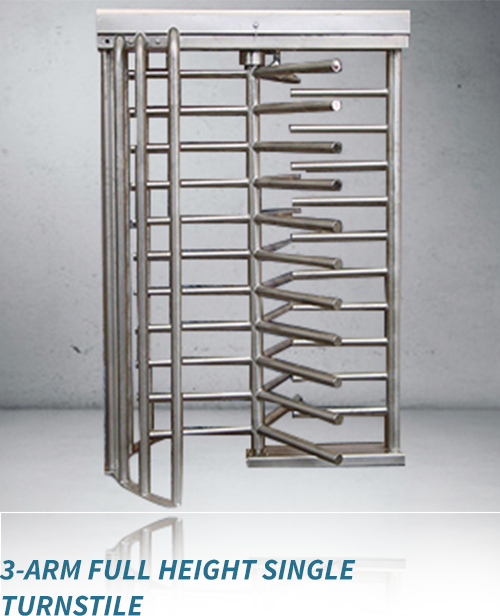 This turnstile is fitted with a STD 100 locking arrangement. 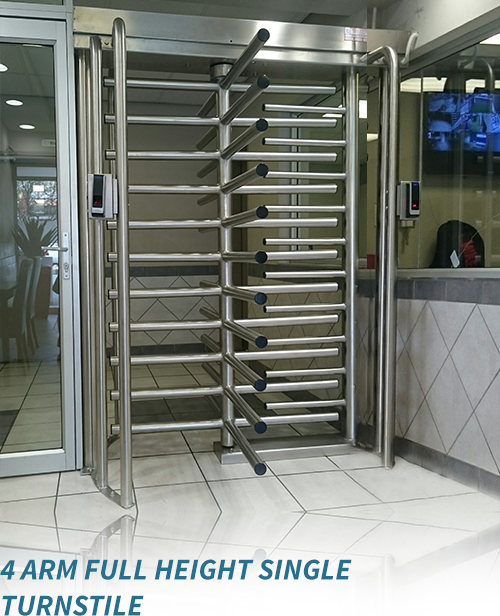 Type: ELO – COIN: Coin Operated Turnstiles that can be used at toilets for example to allow entry only once a single coin, multiple coins or even bank notes have been inserted. 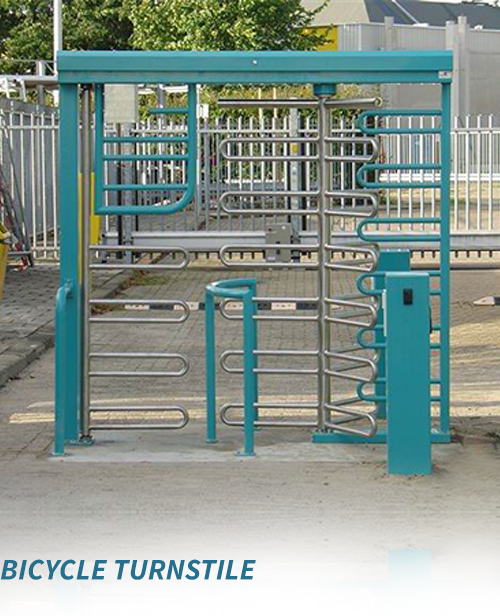 Type: ELO – ALCO: Turnstiles complete with Breathalysers only allow access if alcohol level is below the set limit. Type MO: Rotation in both directions freely on hand-push and is not lockable as standard but has a lockable option if required. Type WUNL: Rotation in one predetermined direction freely on hand-push. It has lockable option. Type: BIO Q.L. : Exit and/or entry rotation is allowed by signal from a single Biometric/Fingerprint Reader situated in the middle of the Turnstile thus eliminating the need for two readers. 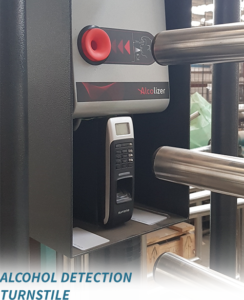 The bi-directional, shock absorbent turnstile lock mechanism (STD 100) is of a simple robust design whereby lock and release arrangement is operated by linear motors. Emergency release mechanical override (fitted with a security lock to avoid misuse) is provided for free gate rotation or positive lock when desired in case of an electrical power or control system failure. A spring-loaded device prevents the gate from further rotation after the user stops pushing on the gate arm and positions the rotor into its “locked position”. Automatic control prevents the gate from turning in the forbidden direction once rotor has moved through 44º or alternatively 60º from rest. 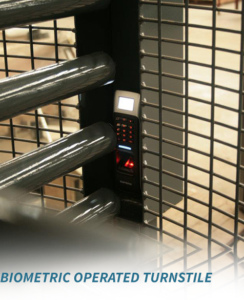 An “automatic lock-up” locking arrangement is a standard turnstile feature. Should the mains power fail or be switched off, the turnstile becomes locked in both directions. It can then be unlocked in the desired direction mechanically with a key. An “automatic unlock” locking arrangement is offered as an option. Main Framing: Sturdy, fully welded low carbon steel. The hollow sections provide ideal conducting power and control cables. Rotor Gate: features end shafts located in sealed bearing and spherical rust resistant bearing. Welded on 32 dia arms curved to U-shape or straight 50 dia tubular with end caps. 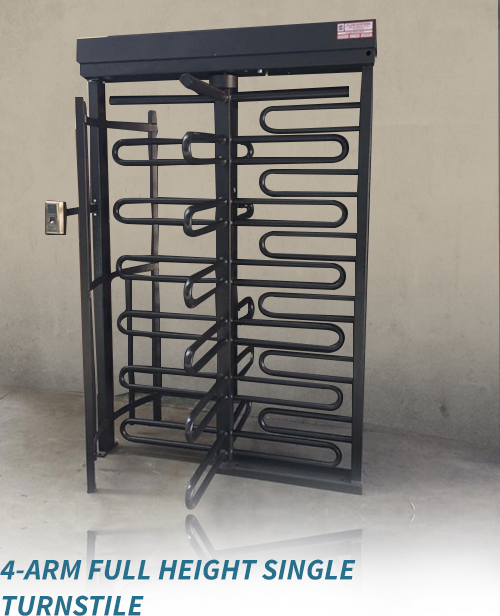 All units are completely factory assembled and tested, minimizing installation time. Firm levelled concrete screed plinth with a minimum strength of 20Mpa, suitable to accept drill-in M12 x 75mm long anchor bolts. Single Model HTG: Plinth 1600 x 1000; 8-off M12 Anchor Bolts drilled in on installation. Double Model DHTG: Plinth 2400 x 1200; 12-off M12 Anchor Bolts drilled in on installation. 220V single phase 50Hz, 15Amp. power cable for terminal connection on turnstile centerline at the top. Power consumption: 2,3 amps at 24 volts DC per lock arrangement. FSM Standard Control Logic is available as an option.